Following the recent terrorist attacks in both Europe and Africa, the United States is frantically searching for a new strategy to cope with the devastating state of world affairs. In addition to reassessing its overseas military tactics, the U.S. government is also devising a plan to ensure that everyday citizens feel safe. With direct orders from the U.S. Secretary of State John Kerry to “aim for the feelz,” the Office of Public Engagement is working tirelessly to create adorable and often hilarious videos involving baby animals in an attempt to distract Americans during this time of global crisis. Unfortunately, the supply is hardly keeping up with the demand as 322 million American citizens are in need of a reprieve from the terrifying violence that they’re reading about on their mobile devices from the safety of their own homes. 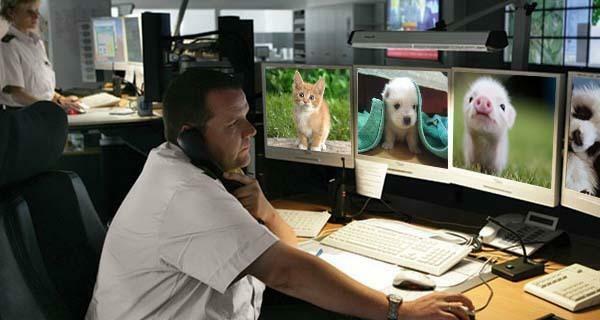 A recent study reveals that 89% of Americans believe the government isn’t producing enough baby animal videos to get the country through a potential ISIS attack, spurring the U.S. to outsource content, much of which has willingly been provided by giggling, 14-year-old Japanese girls with a penchant for emojis. “The Japanese have been very generous with their vast collection of Shiba Inu Puppy Cam live streams,” Mowry states. In the meantime, Mowry and his committee of public relations experts has commissioned a series of newborn sloth yawn compilations, as well as experimenting with a team of independently contracted pot-bellied piglet and skateboarding bulldog owners with public YouTube channels. However, many experts say these tactics are outdated, citing failed efforts in 2010 during the Deepwater Horizion oil spill and Haiti earthquake. “Please know, we’re trying the hardest we can,” he added. The OPE encourages Americans to be brave and hold on, at least until February of 2016, with the return of the Puppy Bowl XI.